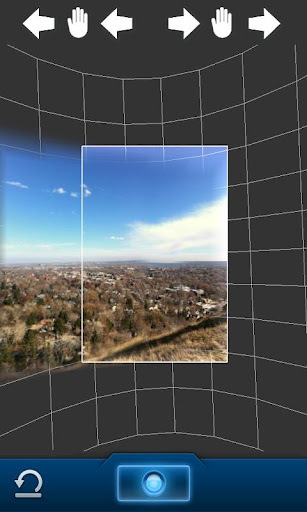 The revolutionary 360 Panorama by Occipital now on Android! • Never forget a location: Each panorama is GPS tagged, complete with a compass heading. Share your immersive 360 views - with anyone. • Share online: View uploaded panoramas on any computer or device. App not required! • Post on Facebook: Post 360 views on your wall or to a photo album - all from the app. • Tweet in 360: Share scenes your friends can view anywhere, even inside their Twitter app. • Email 360 views: Say "wish you were here" in a whole new way. More than an app - an amazing website, too. • Free and safe panorama storage online: Upload panoramas to your Occipital account for access from any desktop or mobile browser any time. • Automatic quality boost: Cloud enhancement automatically retouches and improves your panoramas over time using advanced algorithms! • Join the community: Build a world of panoramas for everyone to enjoy on 360VERSE.com.